Journal borders are a fun way to add color to cards, journals, planners and art. I was cleaning out a file in my art room and found a page of journal borders I had doodled and colored years ago. It was so fun to find them. Luckily I written a few notes on the back reminding me how I had colored them. The first two were done with Derwent Watercolor Pencils. The rest were colored with my Prismacolor pencils. You might want to get some watercolor pencils and experiment with them. 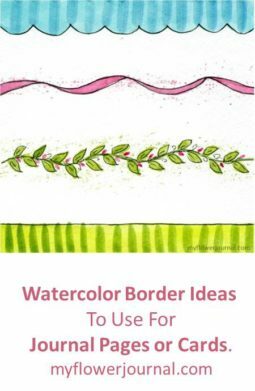 First, lightly draw your border with a pencil. After you are happy with it you can go over it with a fine tip permanent black pen. Next add color with markers, colored pencils or watercolor pencils. When you are finished you can add highlights with a white gel pen. If you decide to try watercolor pencils color your border like you would with a colored pencil. Color lightly or in just a few areas. If you look at the example above I only put the turquoise color on the center design. You can use more than one color and blend them as you color or when you add water. After you have added some color use a water brush and go over the watercolor pencil blending the different colors and filling in the spaces you want color. Look how much turquoise is in my border above even though I didn’t color heavy with the watercolor pencil. The finished step with the watercolor pencil blended with a water brush. Don’t be afraid to leaves some white space. If you want areas to be darker or have more color you can go back over them with the watercolor pencil. You can even apply the watercolor pencil to wet paper. 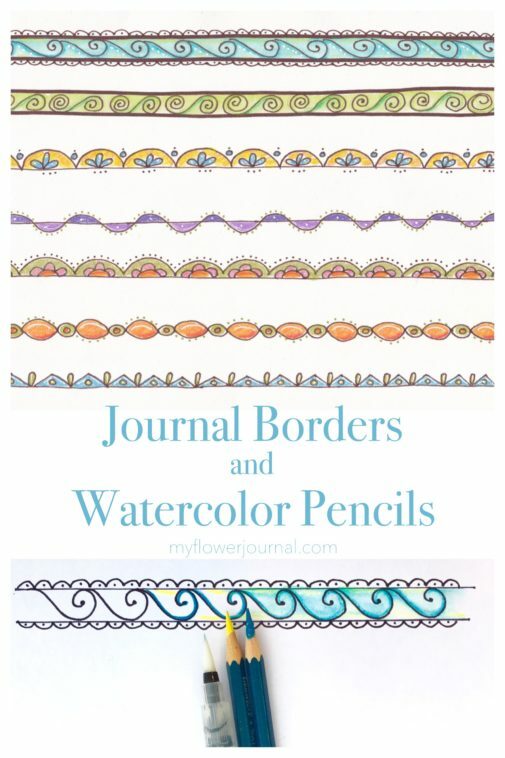 You can find more ideas for journal borders here. You are so talented and have such great ideas! I think even I could do this one!